About Heavenly Scents Products — Just Heavenly! Goat’s milk soap’s high content of alpha-hydroxy acids (such as lactic acid) breaks down dead skin cell bonds, removing dead skin cells from the skin’s surface and leaving behind new cells on the surface that appear smoother and more youthful. Water-based soaps on supermarket shelves use harsh chemical acids to break down dead skin cells. The lasting effect of chemical acids on the skin is more similar to a chemical “burn.” Alpha hydroxyl acids found in goat’s milk, work with skin instead of breaking it down and aging it further. Goat’s milk reduces skin inflammation due to its fat molecule content. The cream present in goat’s milk sooths dry and damaged skin. Goat milk's anti-bacterial properties delay the growth of microbial organisms that spread acne and other skin inflammations. Also known as felted soap, Soap-In-A-Sweater is soap and washcloth all in one! Made with sheep's wool roving and your favorite Heavenly Scents soap bar, these soaps come designed to be not only good for your skin, but good to look at. Why Wool? Wool has natural anti-fungal properties and will retain its freshness. As you lather the soap, the wool remains tight around the soap, making the bar last longer. The felt shrinks along with the soap as you use it, and what's really handy is that the casing can be reused! Just slit along the edge and insert a new bar of soap. Just Heavenly! Relax in your bath with our sumptuous, fizzing bath bombs. Each Heavenly Scents Bath Bomb is enriched with Jojoba oil and Shea Butter— both known to nourish and heal your skin. Draw your bath, drop a bath bomb in and watch with glee as your bath bomb fizzes, releasing a delicious fragrance for your senses, and nourishing oils for your skin. Bath bombs come in two sizes—Bath Bomb and Baby Bomb, and eight fragrances. Sodium Bicarbonate, Citric Acid, Epsom Salt, Kaolin Clay, Shea Butter, Jojoba Oil, Witch Hazel, essential or fragrance oils & colorant. Heavenly Scents' Shea Lotion Stick and Tins are not just your average lotion. It is a concentrated lotion in a solid form. You're not paying for the water that is present in liquid lotions. All of the ingredients nurture the skin, containing NO alcohol, mineral oil, or preservatives that can harm the skin. It contains Jojoba oil which is the oil most resembling skins natural oils, moisturizes wonderfully, and doesn't clog the pores! It also contains Shea Butter, which is rich in vitamins and minerals that rejuvenate and hydrate the skin. 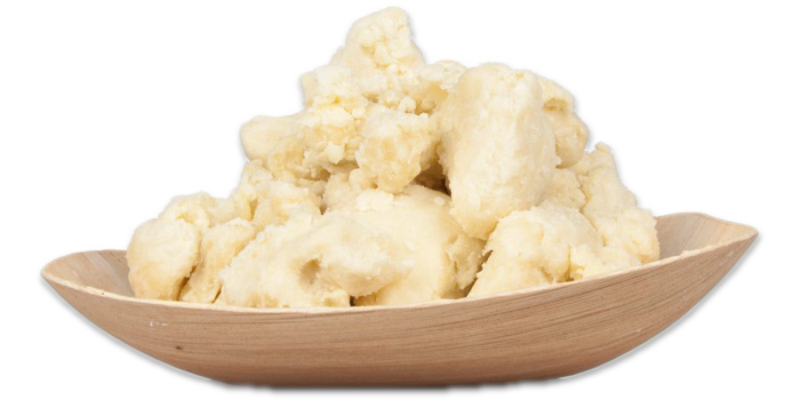 Shea Butter is known for its ability to repair dry and damaged skin. This lip balm is soothing to the lips any time of the year. The ingredients are all natural—no alcohol to make your lips dry out, or crave more and more lip balm continually. Bees Wax, Jojoba Oil, Kokum Butter, Castor Oil, Coconut Oil, Palm Kernel Oil, Butter EZ, Peppermint essential Oil or flavor oil. Our velvety lip balm comes in these fragrances: Bubblegum, Cherry, Peppermint, Piña Colada and Vanilla Velvet. Our Natural Deodorants come in Amber & Earth, Cedar & Saffron, Cucumber Melon, Drakkar, Island Coconut, Sandalwood, Love Spell, Mariner, Savannah Bay, Unscented, and Lavender. At Just Heavenly! our philosophy is going natural. Our natural deodorant has the ingredients to not only protect you all day from unwanted odors, but also is naturally good for your skin. We use raw Shea Butter and Coconut Oil for the soothing qualities, and Baking Soda and fragrance for your new splendid essence! However, for those with a sensitivity to essential or fragrant oils we now carry an unscented deodorant. Did you know that most conventional deodorants contain a list of toxic ingredients? Though many claim that these ingredients are not harmful, studies show that as aluminum chlorohydrate, parabens, propylene glycol and triclosan—questionable ingredients found in conventional deodorants—cause changes in estrogen receptors. Aluminum exposure has also been linked to problems with the liver, kidneys and the brain. Parabens mimic the activity of estrogen in the body's cells. Researchers from the University of Reading, in the UK, conducted a study collecting 160 samples of breast tissue taken from women who'd had mastectomies and tested them for the presence of five different parabens. At least one form of paraben was present in 99% of the tissue samples, and all five were present in 60% of the samples (see http://mightynest.com/learn/getting-started/easiest-changes/concerning-chemicals-in-deodorants). Propylene Glycol is considered a neurotoxin and is known to cause contact dermatitis and liver and kidney damage. Triclosan is an endocrine disruptor and a suspected carcinogen. It is also lipophilic, meaning that is gets stored in your fat for long periods of time. The Scientific American reported that , triclosan is now detectable in human breast milk, blood, and urine samples. gives your beard a shine! There's nothing more welcoming that entering a home where your senses are filled with delicious, inviting aromas. Both Heavenly Scents Soy Candles and Wax Melts are made with the best ingredients and fragrances to insure that your home or office will delightfully transform an amazing amount of square footage! Wax Tart Melts are a great way to have the fragrance without any smoke or cutting a candle wick. Heavenly Scents carries 18 different fragrances, tested to give you a long-lasting fragrance at an economical price. Each package contains 3 ounces.